5. Disclose how the operator responds to Web browser "do not track" signals or other mechanisms that provide consumers the ability to exercise choice regarding the collection of personally identifiable information about an individual consumer's online activities over time and across third-party Web sites or online services, if the operator engages in that collection. 6. Disclose whether other parties may collect personally identifiable information about an individual consumer's online activities over time and across different Web sites when a consumer uses the operator's Web site or service. These additional rules apply to any website that collects information from California residents -- even if that website pertains to a business in Oregon, Washington or anywhere else outside California. The amendment will be reflected in Business and Professions Code § 22575. A copy of the full text of the California law (as amended) requiring online privacy policies is available here. Businesses may wish to consult legal counsel to ensure that their privacy policies are up-to-date, in light of both this amendment and other recent changes to the laws of California and other states. Remember: a website need only be accessible to residents of a particular state in order for that state's privacy laws to apply. It thus typically is a good idea for a company to comply with the laws of the strictest state -- in this case, California -- even if that company does not specifically target business to that state. 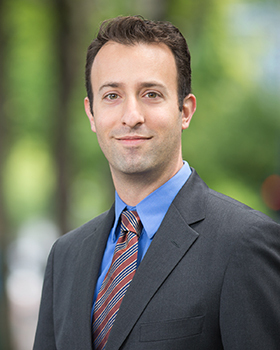 Clifford S. Davidson is an attorney at Sussman Shank LLP in Portland, Oregon. He is co-author of the state law chapter of the treatise Proskauer on Privacy.